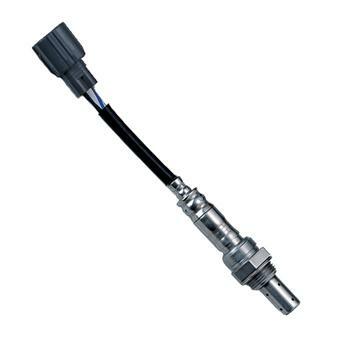 DENSO’s oxygen sensor started to appear on vehicles with the development of fuel injection systems. The basic job of the sensor is to monitor the air fuel mixture under idle, moderate acceleration and cruise conditions. Under heavy acceleration the oxygen sensor goes into “open loop” Which basically means that the engine management computer system ignores the oxygen sensor. Oxygen sensors have a smaller range of limits in detecting and adjusting the difference from an optimum air/fuel ratio. As the automotive industry continues to improve on their standards DENSO is keeping the pace with advancements in our engineering to meet the demands from the industry. Also as car owners are holding on to their cars for longer periods. DENSO continues to make auto parts available for those critical replacement parts. Oxygen sensors, also known as Lambda sensors or O2 sensors among some vehicle manufacturers, are among the most sensitive and critical components on your car’s engine. Earlier fuel injection systems employed one oxygen sensor in the exhaust system to maintain closed-loop air/fuel mixture control. However, today’s engines may use as many as four sensors, which monitor not only exhaust gas oxygen content but catalytic converter efficiency as well. In order to perform these functions properly, the sensors must adhere to OE standards within incredibly close tolerances. A malfunctioning or incorrectly calibrated oxygen sensor can hurt driveability and illuminate the malfunction indicator, resulting in costly and time-consuming repairs. DENSO First Time Fit® oxygen sensors are designed to meet those tolerances and more. The DENSO oxygen sensor catalog offers one of the most complete product lines in the industry, from Acura to Volvo.